As the Eid-el-Kabir draws near we know that many people will be commuting on the roads either traveling out or into Lagos. Also there will be intra-Lagos city movement on a larger scale preparatory to the celebrations. It is, therefore, expedient to call on motorists to exercise reasonable care to protect those in their care. Hon. Dayo Mobereola. 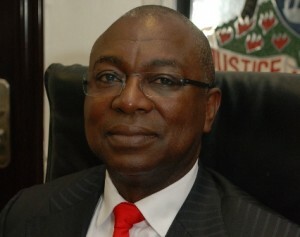 Honourable Commissioner For Transportation, Lagos State. In addition, as we enter the “Ember” months, the period usually associated with accidents and incidences on roads, it is necessary to further ask motorists to observe reasonable care to avoid loss of lives and to be more patient. 7. Passengers should not hassle the driver into driving faster. Thus at the season of Eid el Kabir with its emphasis on obedience, we wish to urge Nigerians not to be the ‘rains’ of ember “months” but to live to build a future that their family and loved ones look forward to.